This movie is perfect in all its categories: credits, sound track, production, casting, writing, photography, editing, acting, and direction. 10/10. I was amazed with the freedom of the use of the camera. This movie will change the way movies are made. Slow-mo, stills, black and white, and color were all used to brilliant effect. I must pick out specific actors who were just over the top - meaning 10+! Alan Ford as "Brick Top" is terrifying - his forced speaking style made me think that he was chewing on the flesh of his previous victim. Vinnie Jones as "Bullet Tooth Tony" is total tough head to foot tough - a walking brick wall - a marine for all seasons - none tougher. 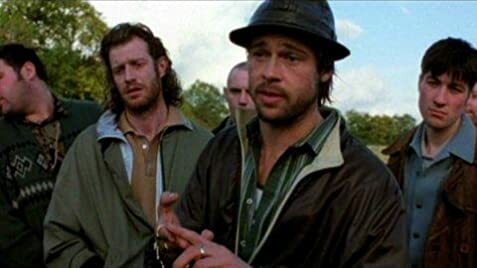 Brad Pitt as "Mickey O'Neil" is utterly 110% convincing. I never liked Mr. Pitt's work before this - but this one totally sold me - he is as solid an actor as ever came out of Hollywood... and better! 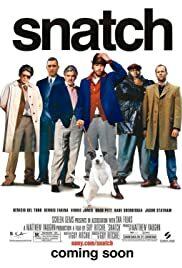 Finally, Guy Ritchie should be recognized as a Michelangelo of film. 210 of 272 people found this review helpful. Was this review helpful to you?